The Egyptian Red Sea Ports Authority has announced the re-opening of the Port Tawfiq-Jeddah navigation line between Egypt and Saudi Arabia after a 14-year hiatus. 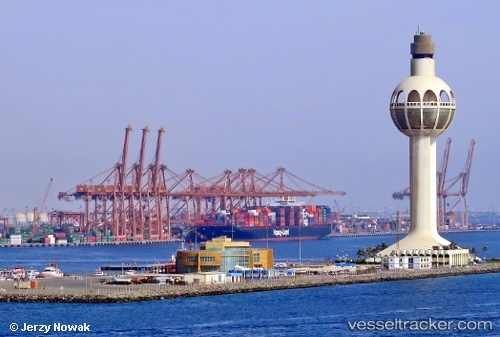 Prior to 2006, Port Tawfiq was a private maritime port for travelers between Suez and Jeddah. The line was suspended in that year, however, after the sinking of the ferry Al-Salam Boccaccio 98. About 1,000 people died in what was described as one of the worst maritime accidents in history. Sultan Ahmed Bin Sulayem, Group Chairman and CEO of global trade enabler DP World, unveiled plans to develop Saudi Arabia’s Jeddah port in support of the Saudi Vision 2030 recently launched by HRH Crown Prince Mohammed bin Salman bin Abdulaziz. Mr. Bin Sulayem was speaking at the Future Investment Initiative (FII) in Riyadh on a panel discussion entitled ‘Dynamic Economies: What are the new ways to solve diversification?’ He outlined the significance of Jeddah Port as a gateway port for the Saudi market and for the region, connecting to major markets in Africa and the Middle East, and that its role as a trade hub can be further boosted by DP World’s vision for its development over the next 30 years. The Saudi Vision 2030 will also play a pivotal role in changing the economic landscape of the Kingdom, wider region and the world. The Jeddah Islamic Port received on Sunday, March 15, 2015 the world’s biggest freight liner, the Saudi Press Agency reported. ‘The CSCL GLOBE,’ which belongs to the Chinese Shipping Lines Company Ltd., has the capacity to accommodate 19,000 containers each measuring 20 feet, the agency said.